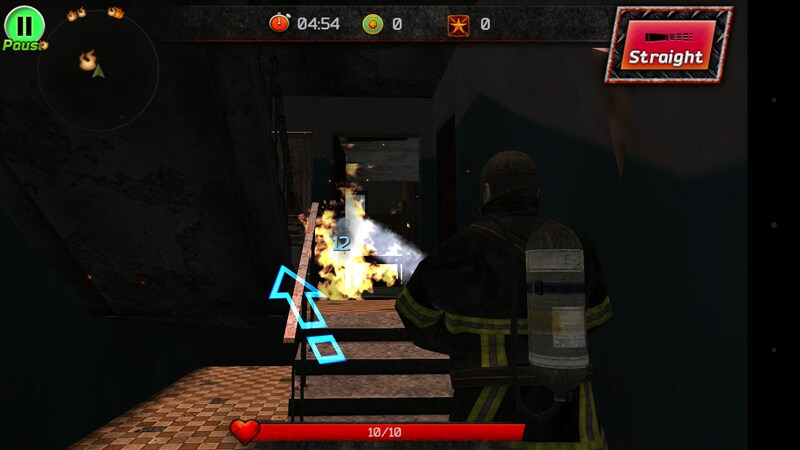 Courage of Fire – Games for Android 2018 – Free download. 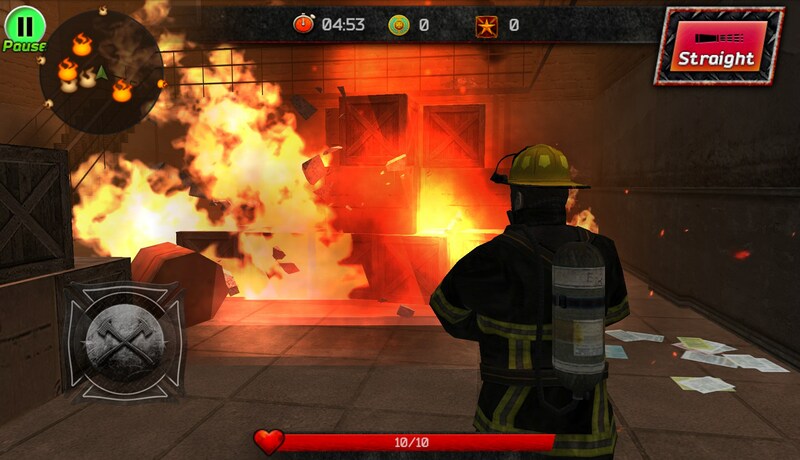 Courage of Fire – An intensive firefighter simulator. 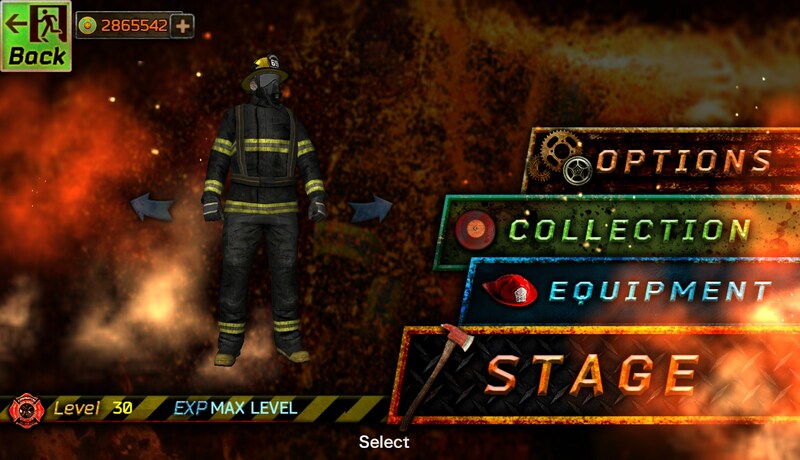 Become the first line in the fight against fire outbreaks by taking control of a chief firefighter in Courage of Fire for Android. It is an intense game that lets players experience firsthand the intensive danger and challenges that these brave men and women go through. Graphically the game is rather dull. The overall dark tone and boring color scheme combined with a low level of detail give off a low quality feeling. After a brief tutorial that explains the basics of the game the user is dropped in the middle of a fire engulfed building and left to use what he learned. A virtual joystick on the lower left side of the screen handles movement, while the right side handles the camera and the water spray. An important button that controls the water is placed on the upper right corner. 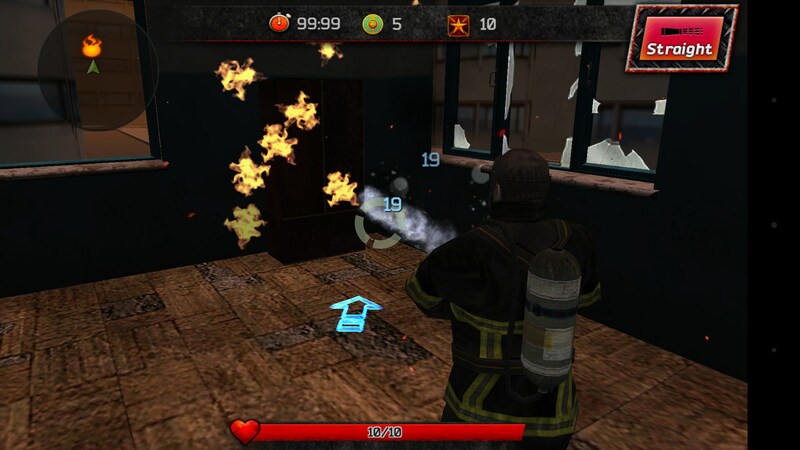 Using this players are able to choose between a jet of water or a spray, each having its own use in certain situations, leaving it up to the user to decide when to use which. 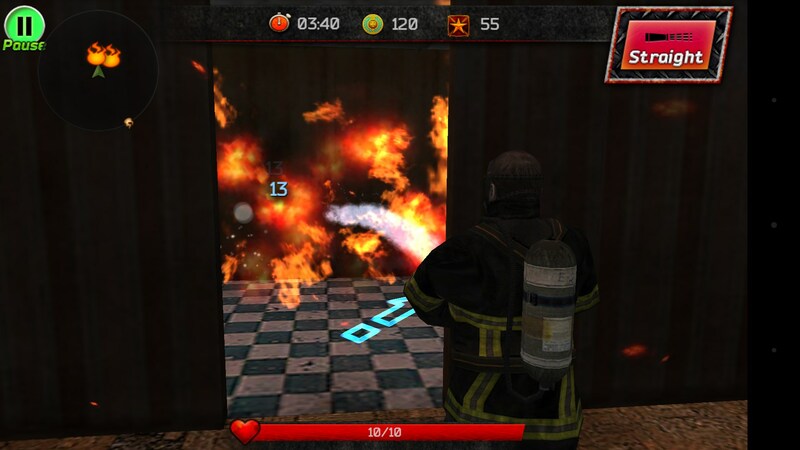 Fire behaves in a somewhat realistic way by spreading if left unattended or triggering explosions at convenient moments. 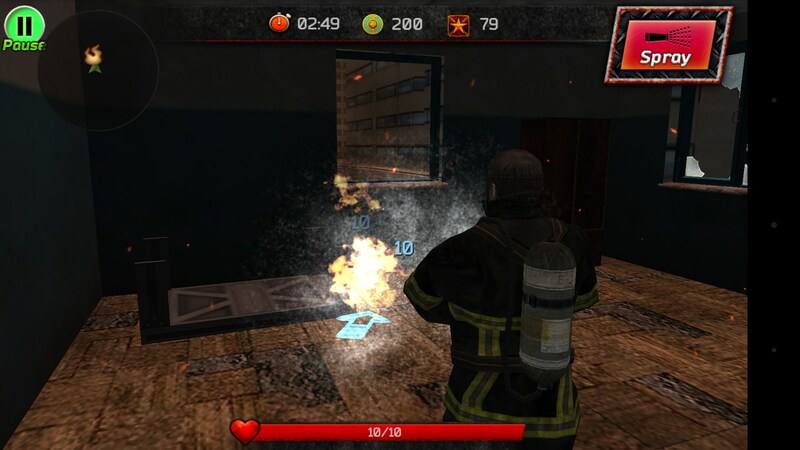 One of the user’s most powerful tools is the compass that points directly to the nearest fire. 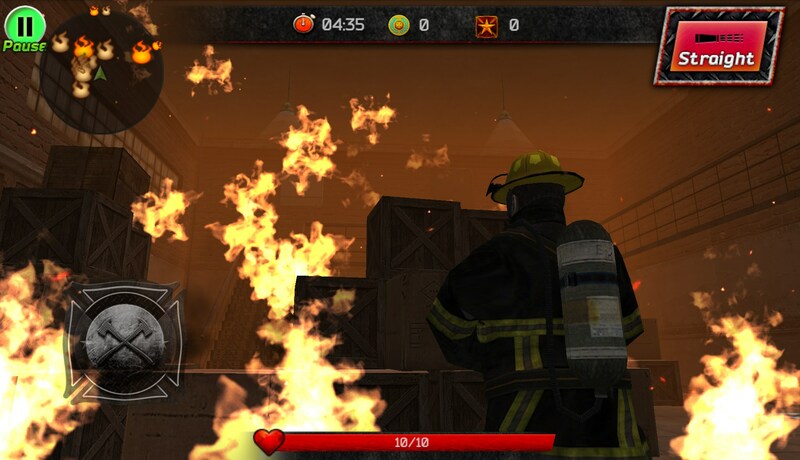 This can help to notice if there is a hidden flame somewhere nearby and goes a long way toward completing each level in the allocated timeframe. 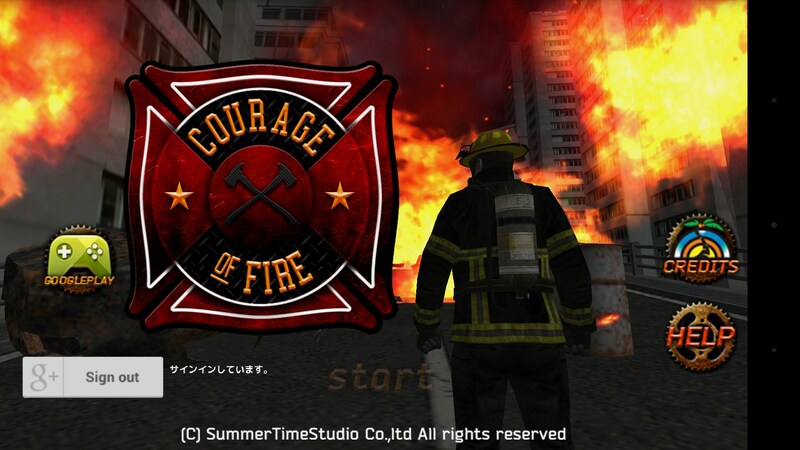 Overall Courage of Fire is an interesting game, definitely worth trying out. 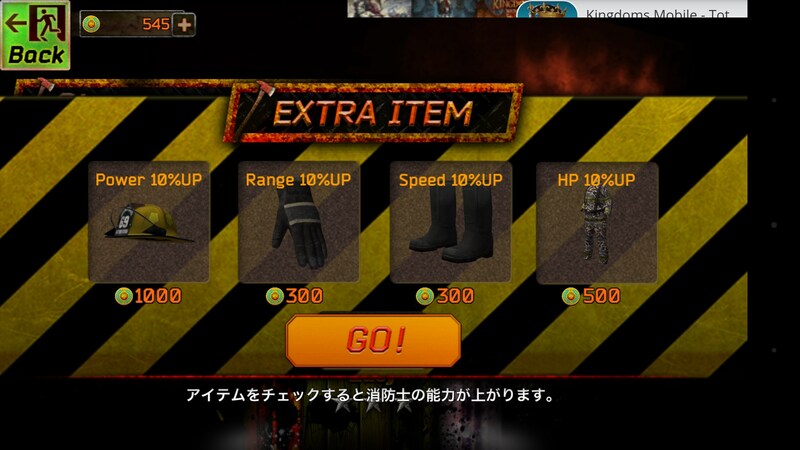 While not the most high quality game, its free to play method allows users to enjoy the decent gameplay without having to worry about getting their money’s worth and resorting to in-app purchases only if they truly feel the game is worth their time and money.